Dubbed as the charging handle for the 21st Century Fighter. 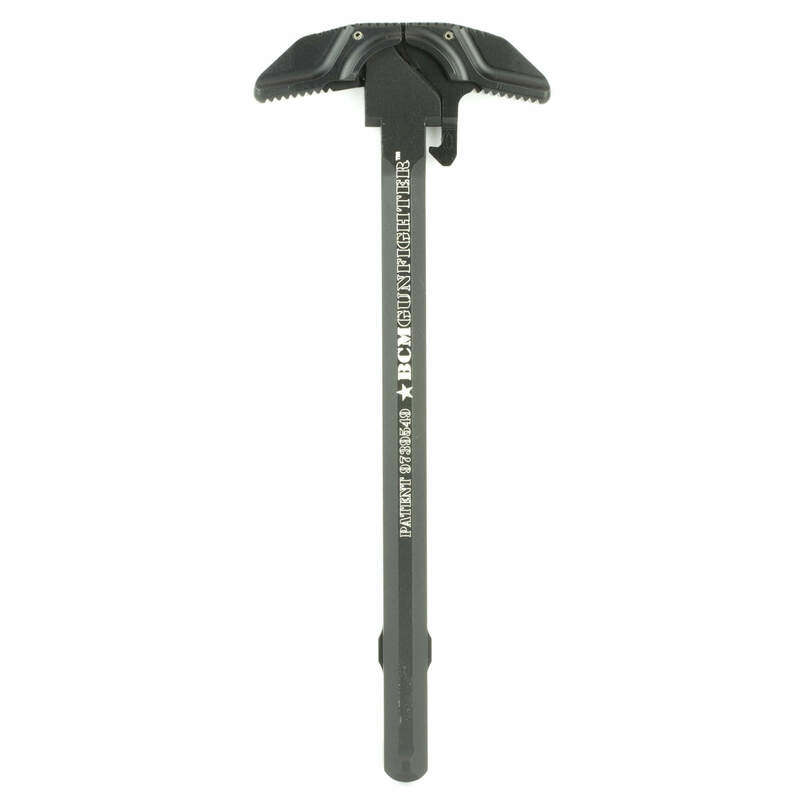 The BCM ambidextrous charging handles are forged from 7075 T6 Aluminum and outfitted with a type 3 hard anodized finish for long lasting durability. Optimizing the contours into a snag-free profile that facilities immediate manipulation with and end user’s reaction side grip, the range of BCMGUNFIGHTER™ Charging Handles is available with both ambidextrous and MIL-SPEC controls. For comparison a USGI handle latch extended past he main boy of the charging handle by approximately .85″. Thanks for sharing your feedback, Mark. We're glad you're satisfied with your purchase. Cheers!